Giant mastodon skeleton from Godman’s American Natural History (1836). Skeleton of a of mastodon drawn by Titian Peale II in January of 1821. 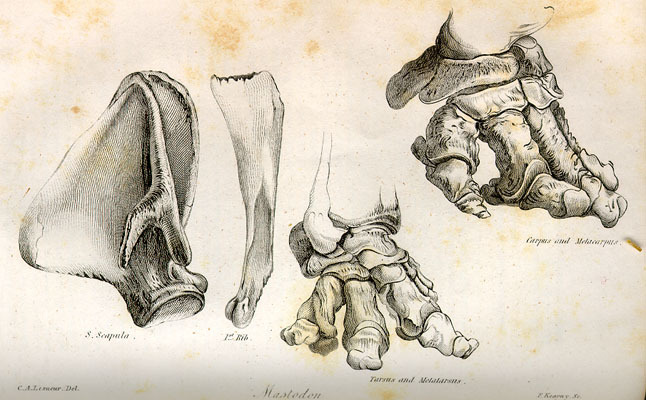 Complete mastodon skeletons were rare, and they became treasures in museums and natural history collections. 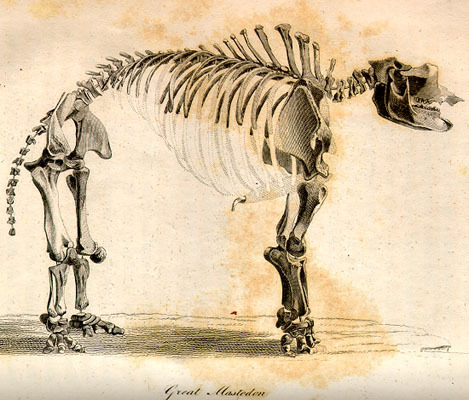 The Peale museum, established in Philadelphia in 1786, was one of the first museums to place the skeleton of a mastodon on display. It is believed that the illustrations of the mastodon for Godman’s Natural History were based the Peale’s display of the skeletons in their museum. Mammoth skull (above left); mastodon legs and feet (above center and right) from Godman’s American Natural History (1836). 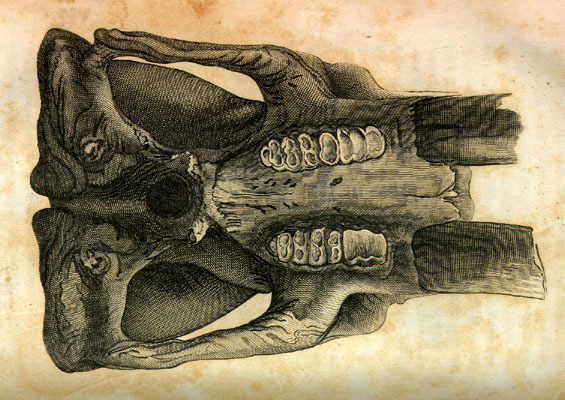 Mammoth skulls were much larger than those of any existing African or Asian elephants, and their tusks and grinders were unlike those of any living creature. 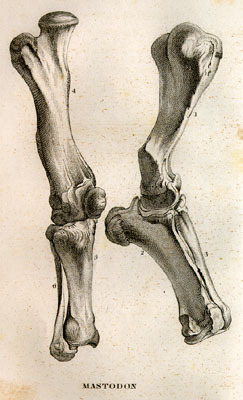 Mastodon legs and feet helped to establish evolutionary links between existing and extinct species. They also helped to explain how profoundly different the flora and fauna of the New World and Old World actually were, since for years even scientists had believed that a single act of creation must have resulted in similar animals around the globe. Now it became obvious that different parts of the world were home to widely, and often wildly, different creatures. There had to be a different explanation as to where they–and we–had come from originally.